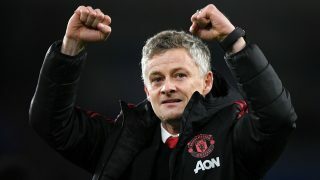 Manchester United’s rejuvenation under Ole Gunnar Solskjaer continues after a win at Fulham moved them into the top four. Paul Pogba led the visitors at Craven Cottage with a sublime finish from a tight angle which beat Sergio Rico and fired United into an early lead. French teammate Anthony Martial then doubled the lead with less than 25 minutes played, before Pogba netted a brace from a penalty. 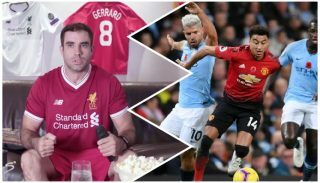 Three points saw United overtake Chelsea in the Premier League standings after the London side missed a chance to move back into fourth with an embarrassing 6-0 defeat against title challengers Manchester City on Sunday. 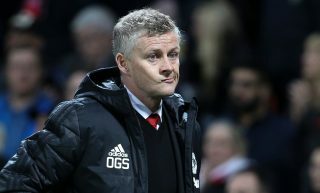 With Solskjaer in charge United have picked earned 25 points from a possible 27 — with that 2-2 draw against Burnley serving the only disappointment of his reign thus far. Sergio Aguero scored a hat-trick, Raheem Sterling got two to his name and Ilkay Gundogan put the cherry on top to ensure Pep Guardiola’s side keep the pressure on Liverpool, who have a game in-hand on the champions. 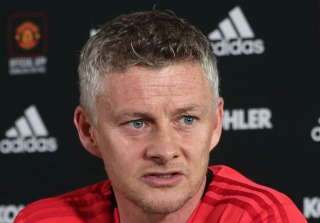 The next test for Solskjaer, however, comes in a different competition. 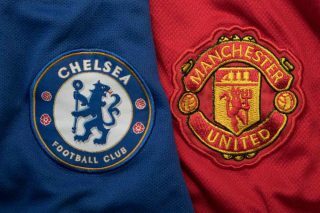 The biggest tournament in European football; the Champions League when United take on Ligue 1 champions Paris Saint-Germain. PSG travel to Old Trafford on Tuesday night without Neymar and Edinson Cavani, though Marco Verratti returned for Thomas Tuchel’s men at the week despite fears he would also miss the game. Here’s how the Premier League top six looked when Solskjaer took the United job via The Sun. 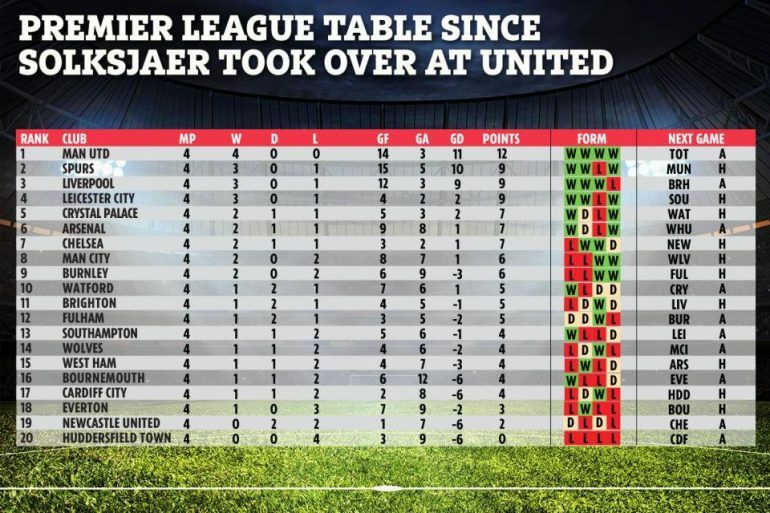 It has been an incredible turnaround by Solskjaer, with United 11 points off a top four finished when he initially came in as interim manager. 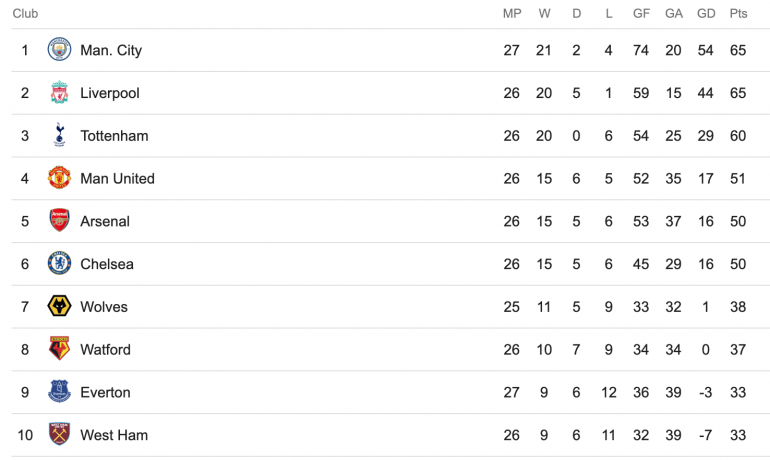 United were being ruled out of the race for a Champions League spot before Christmas, but Solskjaer was able to get the Reds back on track. United face a tricky month now starting with the PSG clash on Tuesday night. That is followed by Chelsea away in the FA Cup and Liverpool in the league. 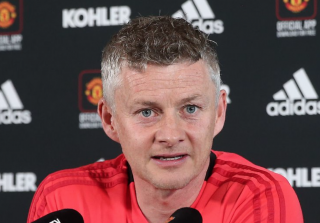 But if the lads can continue their current form in testing circumstances, Solskjaer’s stocks will only rise for the full-time job as the season nears an end.